One dealer in Florida is taking a stand to ensure that pre-owned vehicles with open recalls never hit the streets. When the Takata airbag crisis first reared its ugly head, Earl Stewart of Earl Stewart Toyota, started informing customers of in-stock vehicles with open recalls by clearly marking them with signs, while still continuing to sell them. In June of this year, Stewart did an interview with CBS News and it really hit a nerve when, in questioning him about defective airbags, the reporter asked, “How are you going to feel if one does explode in a car that someone bought from you here, even with disclosure, and they are severely injured or killed?” Stewart’s response was “How would I feel? I would feel absolutely terrible.” According to the story, Stewart decided to stop selling all vehicles with open recalls. But he didn’t stop there. According to Automotive News, Stewart wrote a letter to Florida Governor Rick Scott, the state’s House of Representatives and Senate. In addition, he started a petition on change.org in an attempt to make selling pre-owned cars with open recalls illegal. Stewart now uses his “consumer-first” stance as a competitive advantage and aggressively markets his dealership’s policy of not selling any vehicles with open recalls. He has a special page on his website informing customers of this policy and solicits consumers to sign his petition. “All I care about is to stop the practice of selling these cars. Put them in the same category that you do with new cars. There’s no logical rationale whatsoever that you should not be able to sell a new car with a defective airbag, but you can sell that same car used. It’s even illegal to rent a car with a defective airbag,” said Stewart. According to Stewart, his passion for this cause has been costly. He still needs to sell cars and still accepts vehicles with Takata airbag recalls as trades. His decision not to sell them has cost him more than $110,000 in storage and depreciation. At the same time that Stewart sides with consumer safety, his competitors continue to sell pre-owned vehicles with open recalls and, in his mind, have placed his dealership at a competitive disadvantage. Figuratively painted into a corner, Stewart decided to sue his competitor. With an unsaid fellowship amongst automotive dealers, many question Stewart’s motivation. His position is that competitors are misleading consumers, disguising the fact that an open recall exists or the ease with which it can be fixed. Because Stewart felt so strongly that the competing dealership and/or its employees were intentionally withholding important information and, in some cases, egregiously misrepresenting the vehicles, Stewart sued his competitor under Florida’s Deceptive and Unfair Trade Practices Act. It’s pretty rare to see dealers sue each other – especially when the recipient of the suit isn’t doing anything illegal and is, in fact, mirroring policies most other dealerships in the country exercise. It’s no secret – dealerships continue to sell pre-owned vehicles with open recalls. While a growing number of dealers are adopting similar policies against the sale of pre-owned vehicles with open recalls, Stewart’s decision to sue a fellow dealer clearly pins one camp against another. Whatever your position, one item remains true – selling pre-owned vehicles with open recalls is not in the best interest of the consumer. Internally, dealers must debate whether the benefits consumer safety and social justice marketing outweigh the costs of moving vehicle inventory. Just as I was wrapping up this blog, an update on this situation appeared in Automotive News. Apparently, the dealer that was sued had a change of heart soon after the lawsuit was filed and adopted a policy not to sell the vehicles anymore. According to the article, his decision had nothing to do with the lawsuit. The motivating factor was that same question that CBS News asked Stewart during a segment in June — how he would feel if someone was killed in a car he sold. The dealer considered the same question before ceasing the sale of used inventory subject to the Takata recall. The legality of selling pre-owned vehicles with open recalls is currently being debated amongst federal and state legislators. If history serves as a roadmap to future legislation, my belief is that the industry would be wise to prepare. 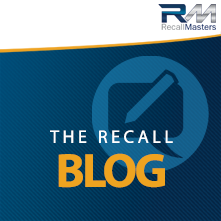 Laws that protect the consumer usually win out in time, as evident in the Safe Car Rental Act that was enacted earlier this year, requiring rental car agencies to remove from their fleets any vehicle with an open recall or face severe penalties. The wheels are already in motion and the momentum seemingly impossible to stop. Whatever the future holds for legislation, I sincerely hope consumers reward these two dealerships for their good deeds. Sometimes, doing the right thing, while challenging at first, pays off in the long run.